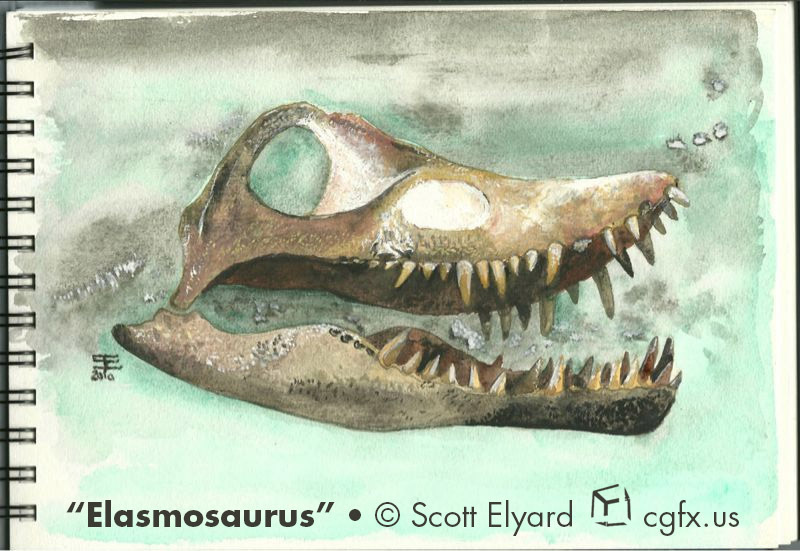 Skull of the Elasmosaurus rendered in watercolors. 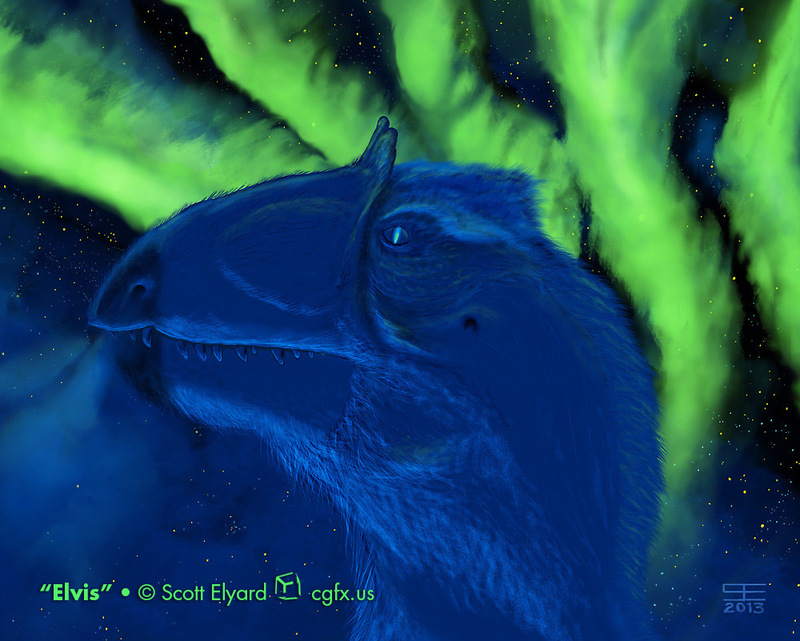 Elvis the Cryolophosaurus pauses under the Aurora Australis during the summer months of cold in Antarctica. 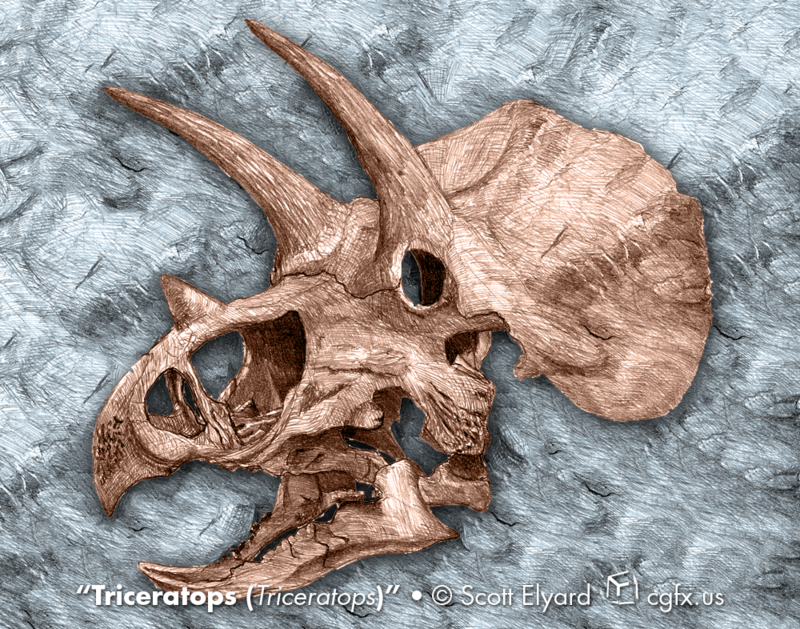 Watercolor can take on a new appearance after a few choice minutes in an image editing application. 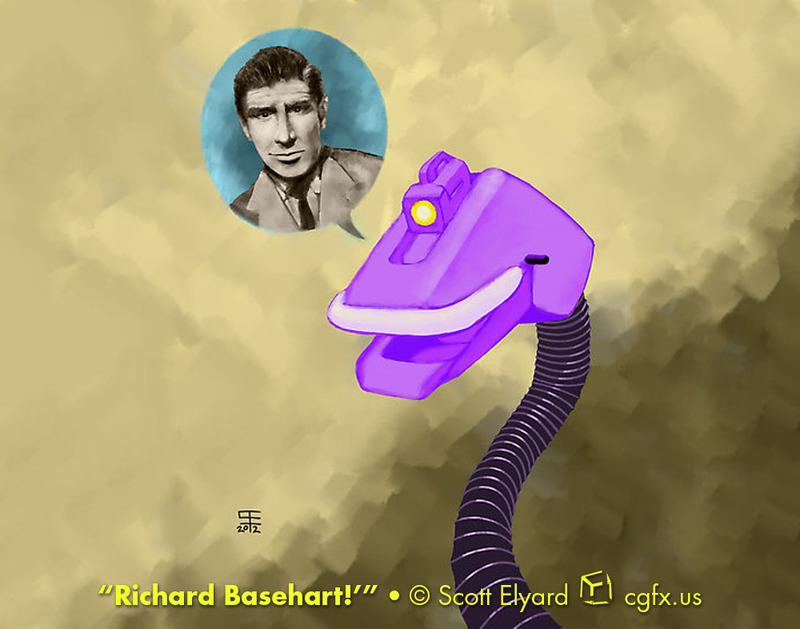 Richard Basehart! as elocuted by TV’s Gypsy of MST3K. 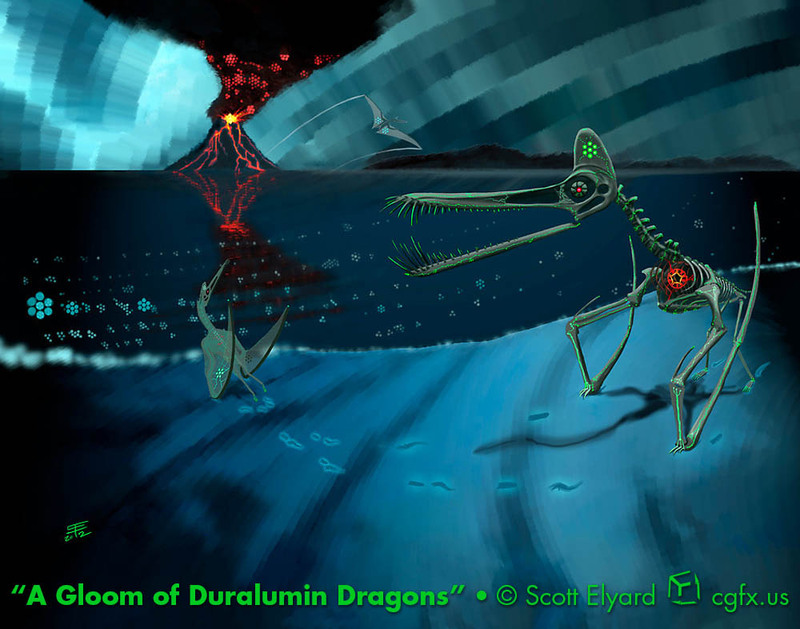 Digital painting done from two practice speedpaintings as the last image of 2012 from me for our show, Archosaurs and Automata. Prints available (at least for a time). Read more about Richard Basehart! 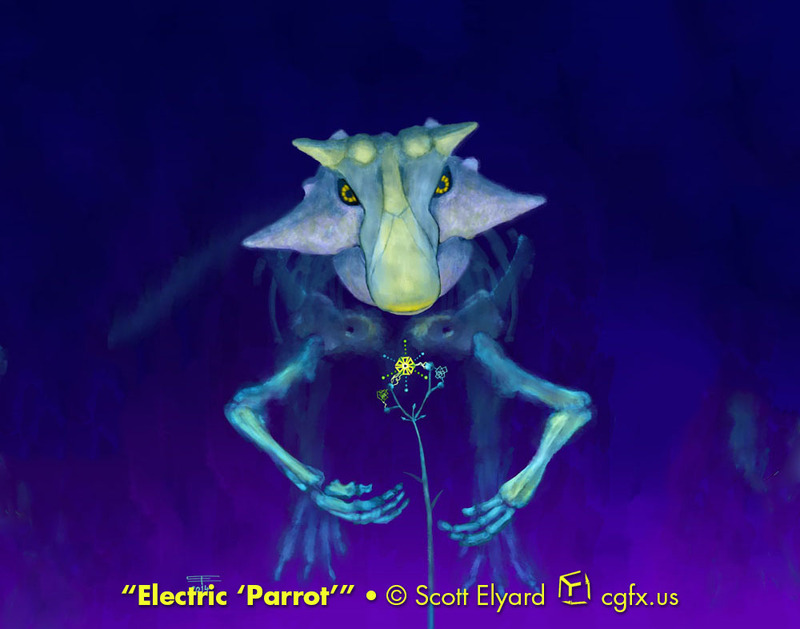 An electrotiki representation of the skeletons of Guidraco venator. Prints are available here.